Considering the robust components, premium quality, and vibrant designs, gaming laptops are entirely different in comparison with mainstream ones. Over the years, undoubtedly, laptops have undergone a lot of transformations. Earlier, they were just compact and convenient devices to handle the fundamental needs. And, gaming was just restricted to PC. However, today, thanks to the technology & rising demands of consumers, companies have come up with an entirely new and distinct range of laptops, only meant for gaming. Since there is a gamut of models available today in the market, it might be difficult to find the best one. So, if you are contemplating to purchase a gaming laptop, there are specific features that you must look into it. Have a read. The graphics card, also known as GPU, is the foundation of your laptop. By processing the data and communicating a signal to the monitor, GPU helps in delivering the images on the display. This entire process can be a bit hectic while you will be busy playing games. Therefore, you must concentrate on buying a separate GPU that would come with its own memory, known as VRAM (video memory). With gaming, the more is never less. However, if you are thinking not to play games zealously, then a VRAM of around 4GB should be suitable for you. 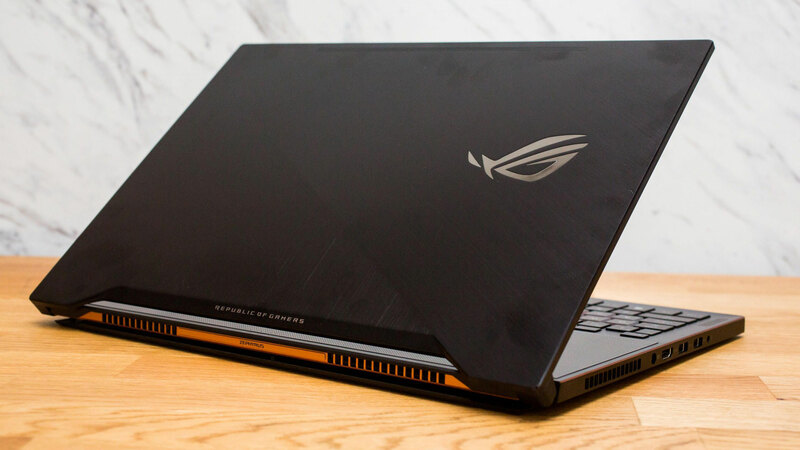 There are several gaming laptops that come with Nvidia GPUs, however, if you want, you can even buy such a brand that would let you configure the laptop on your own terms. Also, make sure that the GPU is competent enough of rendering games in right frame rates and high resolutions. The Central Processing Unit, CPU, is surely one of the most important aspects of a gaming laptop. More so because the current generation games consume more horsepower than that of the previous generation’s games. Also, if you are from the lot who likes to play multiplayer, then you would have to concentrate more on the CPU as you wouldn’t want it to lag because of stress. If you are an intensive gamer, then an intel core i7 quad-core processor should be your bet. You may even choose a dual-core i5 processor, but somehow, it will slow down the games and laptops. Don’t go for an AMD APU quad-core as they come up with weaker cores as compared to Intel or quad core. Majority of current generation’s games demand more memory. So, you must be a bit cautious while choosing the RAM. If you tend to keep more into your laptop, then you can select 8GB RAM. However, if you like using several applications at a time and play games together as well, then the best bet for you would be a 12GB or a 16GB RAM. You must make sure that you are selecting the right RAM initially only as you may have to end up paying some extra bucks if you would be customizing it later on. But, that shouldn’t stop you from upgrading the RAM if seems necessary. Talking about the storage part, then aim for a faster laptop and it will always be better for you. If you are facing a dilemma between SSD and HDD, then you must always go with SSD. There is no denying the fact that the game size is touching up to 20GB or 30GB these days. Even if you come across a 60GB game, don’t be in a shock. That’s how they are being made. So, being a gamer, you wouldn’t like to afford storage less than 500GB. So, it is always recommended to buy storage up to 1TB. Although an SSD comes with an expensive cost, however, its booting up and faster loading games are always worth every penny. Also, SSDs are more robust and can survive longer than an HDD. 10-12 inches: This size will come in the lightest and thinnest laptops. However, with this size, you may lose the portability of keyboard. Laptops with this screen size are no better than tablets. 13-14 inches: Neither heavier nor lighter, laptops with this screen size provide the balance of usability and portability. 15 inches: This one is the most famous size and provides an ample of size. Also, these are a bit bulky but easy to carry. 17-18 inches: If you use your laptop mostly whole day long, then this would be the recommended size that you can consider buying. Moreover, gaming laptops of this size are best to use as well. If uninterrupted gaming session is your priority, then there is no way you can take the battery life for granted of your selected laptop. If the battery is bigger, then it would simply bring more weight and heat along with it. However, even with big battery size, your laptop can still give up after an hour of gaming session if it is set on the highest. So, consider getting a rechargeable power pack to enjoy additional gaming hours without the need of plugging the charger into the wall socket. Last but not the least, there are always some extras and additional factors that you must consider before buying a gaming laptop. If you are contemplating to get high sound quality, then you must also pay attention to the price of portable speakers and noise-canceling headphones. Although there are some decent gaming laptops that come with inbuilt speakers; however, it is very difficult to find such models. Moving ahead, you should also pay attention to the trackpad and keyboard. The keyboard should be robust, and the trackpad should be smooth enough for amazing performance. Also, you can even consider buying a gaming mouse additionally. Although you would be choosing a laptop with amazing battery life, however, you must avoid buying a touchscreen one. Not only they are a bit expensive but consume a lot of battery as well. Coming to the connectivity part, your gaming laptop must have at least 3 USB ports, out of which one should be of USB 3.0. If you are thinking to connect it to a larger monitor, then make sure that the laptop has HDMI port and Mini Display port. And then, Ethernet port is also a must for an uninterrupted internet connectivity. This article is written by Amy Bros, who is the Technical Editor of sysprobs.com. Bros have a passion for helping people to solve all their problems related to technology from last 9 years. She worked as a freelance Network Engineer previously. Gaming Laptop Buying Guide: What to Look, What Not to?